became million seller in 3 years ! Recently, it is a quite natural act to call youthful woman regardless of real age “Joshi (a girl)”, for example “She is a girl in 30’s” in Japan. “Bimajo (beauty witch)” have a youthful-looking in exchange for spending a passion and a lot of money for own beauty. But “Otona joshi (adult girl)”, experienced as a member of society is able to afford for own life style. 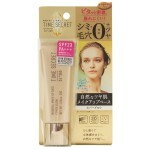 “TIME SECRET” is time-saving makeup brand for “Otona joshi”, try hard in love, fashion, and job. April 2014, we have launched two colors of “Mineral UV Powder” to make beutiful clear skin without pore and freckle. March 2015, “Mineral Base Extra Smooth”, makeup base with two functions – correct skin color, and finish smooth texture – have been launched. 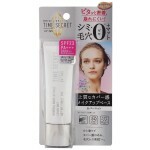 Moreover, all items of “TIME SECRET” have strong UV protection effect for busy “Otona joshi”. 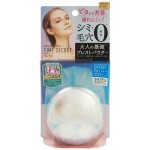 So she can easily enjoy naked skin-like care and finish for a long time if she have no time to put in the advanced care. And it contains “Malus Domestica Fruit Cell Culture Extract” and some extract as the most advanced aging-care ingredient. The concept, “time-saving makeup, UV protection and skin care with only two items” have received a high evaluation in cosmetic market. 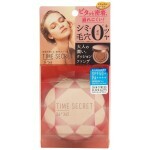 After that, “TIME SECRET” series became million seller in only three years. March 2018, we have improved moisture effect and renewed brand logo and package design. And now, “TIME SECRET” get the new value and higher brand appeal with the copy “24 hours lasting makeup”. “Mineral UV Powder” have been got the top ranking of pressed powder and UV protection category in famous cosmetic website “@cosme” almost at the same time of launch. Moreover, TV commercial have been broadcasted. March 2017, five colors of “Mineral UV sheer Lip” contain aging and moisture care ingredients, to put a slight color on lips to give more adult nuance for “Otona joshi”. We launched the limited design package and limited color “Medium Ochre” for must-have “Mineral UV Powder”. And now, “Medium Ochre” is line-upped as standard color after renewal. And we prepare various merchandising tools for various sales promotion in your stoore. Thank you.